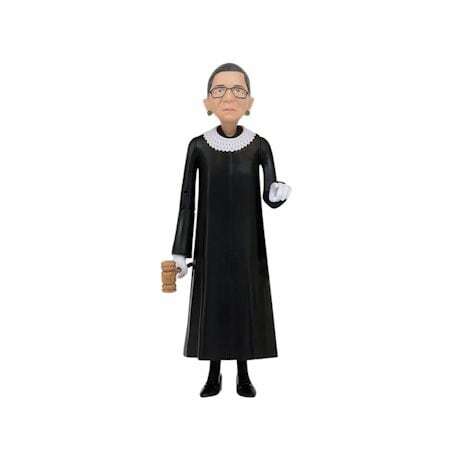 The notorious RBG - Ruth Bader Ginsburg - has an intense workout regime, rocks a bomb white collar, and writes legendary dissents as the second woman ever appointed to SCOTUS. 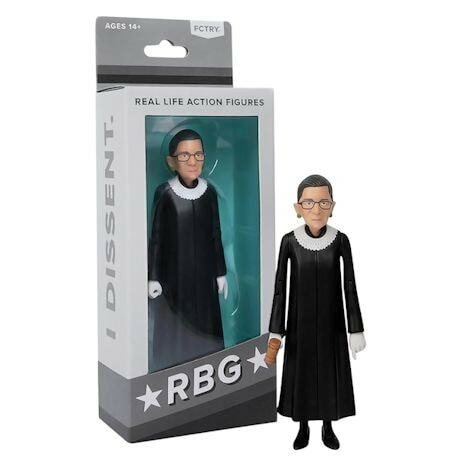 All things that are evident in this less-tall RBG Action Figure, perfectly sculpted to oversee proceedings in your space. Plastic. 6".